At Schare & Associates, we offer a complete line of freeze-dried fruits, fruit powders and fruit blends. The origin of all of our fruit is predominantly Chile with seasonal raw materials coming from Argentina. Our tropical offerings (pineapple, banana, mango, etc.) are sourced from Peru, Ecuador and Costa Rica. We also offer organic fruits per your request. 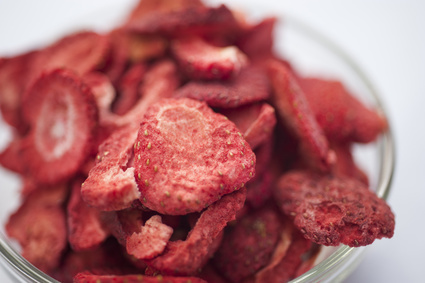 We offer a large variety of freeze-dried fruits, including apple, banana, blueberry, kiwi, peach, pineapple, raspberry and strawberry, to name a few. We offer fruit in a variety of formats including whole, sliced, diced, granules and powders. Each product is dried at the peak of their individual ripeness, and our intricate drying processes preserve the sweet flavors of each respective fruit while ensuring that no nutritional value is lost. At Schare & Associates, we pride ourselves on providing premium, great tasting and nutritious fruit products.